Rod Locks for Cylinders/Actuators | Advanced Machine & Engineering Co.
See SITEMA Safety Devices when the potential for personal injury exists. 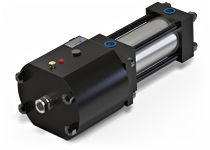 Pneumatic and Hydraulic Locking Cylinders are available upon request! This heavy duty, dual acting clamp design provides axial holding forces from 1,100 up to 80,000 lbf. The RCH clamps with mechanical springs and is released with hydraulic pressure. Designed to fit NFPA cylinders / actuators. This compact, dual acting clamp design provides axial holding forces from 200 up to 2,450 lbf. The RLI clamps with a patented mechanical spring system and is released with pneumatic pressure. 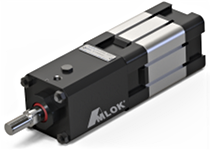 Designed to fit ISO 15552 (previously known as ISO 6431) cylinders / actuators. This compact, dual acting clamp design provides axial holding forces from 200 up to 2,450 lbf. 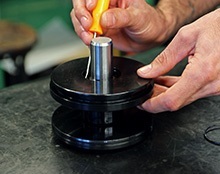 The RLN clamps with a patented mechanical spring system and is released with pneumatic pressure. 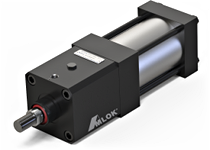 Designed to fit NFPA cylinders / actuators.